Packed with love, these heart shaped boxes / mint tins can hold tiny treasures and heartfelt sentiments inside (Silver matte finish - heart shaped). 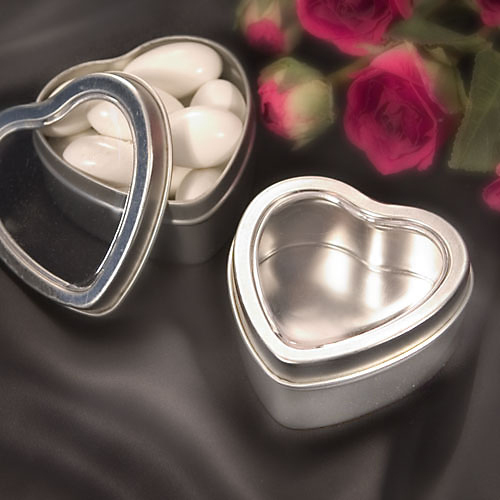 Ready to be filled with Jordan almonds, mints or any number of surprises, these mint tins/heart shaped boxes can pull at the heartstrings when special touches such as sayings or messages are added. Each of the heart shaped boxes is approximately 2" diameter and comes in a silver matte finish with a clear acetate cover.